Renewal by Andersen: Leaders for Replacement Windows in MA and Throughout the U.S. Renewal by Andersen of Southeastern Mass and Rhode Island designs innovative and revolutionary materials to create the highest quality products to be installed by an expertly trained staff leaving your home looking fresh and standing strongly against inclement New England weather. We offer a broad spectrum of styles, makes, models, finishes, and accessories for your window replacement and home décor needs. Our commitment to energy efficiency and environmental consciousness has earned us the Energy Star certification to provide you with eco-friendly options to alleviate financial stress through the year. Other local companies offer only a fraction of our lines of windows and patio doors. Larger companies treat you and your home like any other, finishing as quickly as possible to move on to the next. We here at Renewal by Andersen of Southeastern Mass and Rhode Island offer the selection of the national contractors while providing the personal attention and customer service that comes with local businesses. Open communication is a key component in our success dating back over 100 years. You want the highest quality products expertly installed in your home and so do we. Every time we install windows in MA or RI here at Renewal by Andersen of Southeastern Mass and Rhode Island, we provide the homeowner with Renewal by Andersen’s industry-leading warranties. Renewal’s 10-Year and 20-Year limited lifetime warranties provide a sense of security and the knowledge that if, though rare, a problem arises with our installation or with the material itself, you will be covered. Our Fibrex™ composite, combining the strength and durability of wood with the ease and simplicity of vinyl, provides your home with stability through the years. While vinyl expands and contracts, Fibrex™ holds firmly to the glass, creating a tighter seal. This resolute material makes it a powerful insulator and, combined with our Low-E glass, has earned us the Energy Star Sustained Excellence for our commitment to energy efficiency. We offer these green options to you to reduce your monthly heating and energy bills. 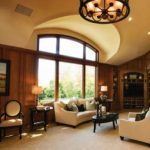 Whether your current windows can no longer protect your home, let the heat escape, or you simply want a change of scenery and more natural air and sunlight in your home, Renewal by Andersen of Southeastern Mass and Rhode Island stands as your first call for window and patio door replacement. Watch as new flowers bloom in spring; breathe in the coastal air during the summer; admire the leaves’ vibrant reds, yellows, and oranges in autumn; and relax as snow gently blankets the ground during winter, all from the comfort of your home. Contact us today to start enjoying the historic and natural beauty around you. To learn more about Renewal by Andersen replacement windows, call Renewal by Andersen of Southeastern Massachusetts and Rhode Island or request a quote today. 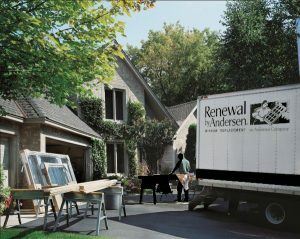 Renewal by Andersen of Southeastern Mass and Rhode Island leads as experts in doors and windows. We have deep roots in the local MA and RI communities, and work tirelessly to improve the homes of our neighbors. Call us at 401-473-2739 to set up your free, no obligation in home consultation on new doors or windows in MA or RI.